You’ve navigated the tricky transitional period from winter to spring like a pro, but what’s next? With tonal outfits currently having a moment, we’ve been urging you to pile on as much black stuff as humanly possible. Now it’s time to apply that same mindset to blue. Not only is this colour a fresher alternative to black for summer, but also it’s notoriously slimming and, happily, goes with pretty much everything you have hanging in your wardrobe. Forget everything you thought you knew about double denim. Gone are the days when wearing jeans with a denim shirt and – God forbid – a denim jacket over the top was considered a sartorial faux pas. 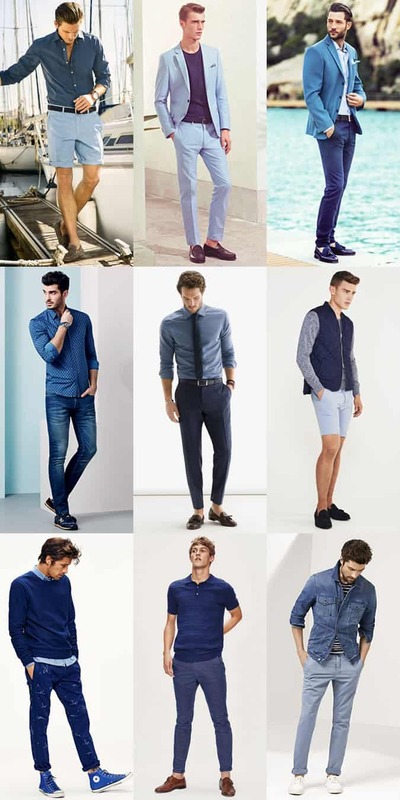 We’re ushering in a new denim-clad era, in which throwing on a pair of selvedge jeans and a robust worker shirt is the pinnacle of strong summer style for guys who want to eschew the obvious seasonal trends, such as floral shirts and shorts suits. For a smarter take on the look, exchange your blazer for a sharply constructed denim jacket and wear it over a sky blue shirt and slim-fitting white jeans, finished with a pair of brown suede loafers. Few items exude laid-back summer vibes quite like a printed T-shirt. And while we’re going to sidestep anything gratuitously colourful this season, there are plenty of patterned designs available in muted tones that still pack a punch. From lavish paisley motifs to geometric streetwear styles, how you wear your printed tee is up to you. Even if you’re a bit gym-shy, there’s no reason why you can’t develop a penchant for sports and performance wear this season. Thanks to the likes of designers Raf Simons and Ricardo Tisci, who have collaborated with adidas and Nike respectively, athletic styles – and the world’s top leisurewear brands – have evolved over the past few years to offer so much more than items you simply workout in. Nike’s Pro Combat gear, for instance, may help you look the business on the treadmill, but its technical fabric looks even better when you wear it on the street as part of an all-black outfit for an aesthetic that says you’ve got a gym membership and a Mr Porter account. We’re not suggesting you spend the summer dressing like a palaeontologist. That said, the imminent release of Jurassic World has coincided with a growing trend for safari jackets, which makes the prospect of suiting up in khaki and canvas more appealing than ever. 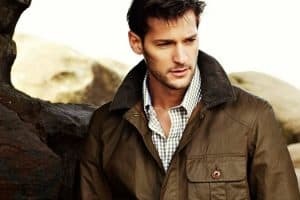 Picking up a new piece of outerwear may not sound like your first priority for the warmer months, but equipping yourself with a stylish jacket as versatile and light as the safari is a killer way to combat cool evening temperatures and cuts the chances of you wanting to duck out of the beer garden before time has been called.